What do you look for when visiting the Niagara Falls? Do you think about having a great weather for you to view it in? Or, if you are visiting in winter, for things to be just that little bit colder so that you could find the Falls frozen? While Niagara Falls has its own beauty to cherish at all times, it is its history that makes it even more enriching. 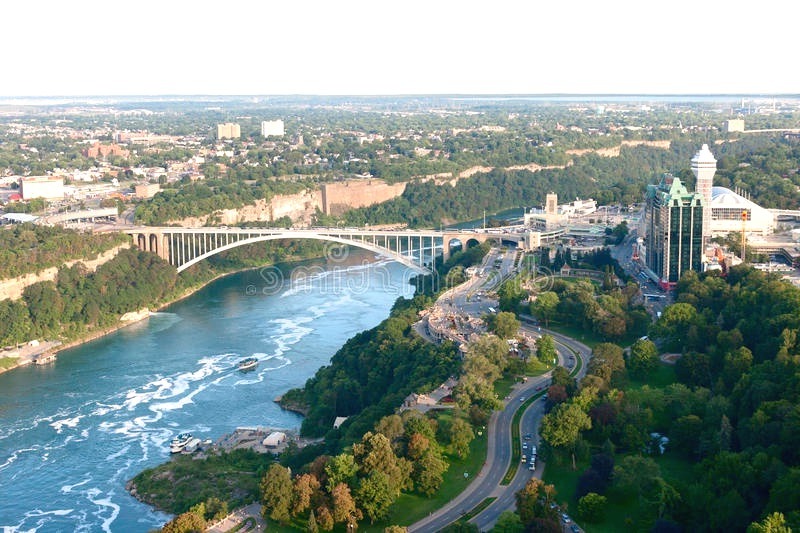 Niagara Falls City, located in Ontario, has a low population density and a great history to talk about. While Native Americans were the initial residents of Niagara Falls City, Europeans settled there in the seventeenth century. Frenchman Robert de la Salle was the first European to come to this City, who arrived with Louis Hennepin, who was a Belgian priest. 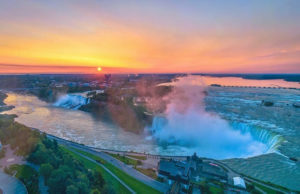 Europeans came up with an efficient infrastructure that enabled them to do their businesses effectively, and they harnessed the power of the falls to get electricity. With electricity, businessmen and scientists started arriving, taking advantage of the natural electric power. The city had many industries towards the end of 19th century. They were using the power they were getting from Niagara River. They would produce abrasives, petrochemicals, and metallurgical products. Many of the people who were working there were immigrants, and the city had even claimed the title of ‘Honeymoon Capital’ in the first half of the 20th century. However, as homes began to grow old, and more businesses meant no place to park, the tourist trade declined. It is this declining number of tourists that hurt the city’s economy the most. And during the reign of Mayor Lackey in 1960, the city witnessed its fall. While Lackey wanted to make the popular Niagara Falls even more popular, his policies like pedestrian malls meant that businesses had to shift from the then downtown. Improper planning meant that ugly overpasses were built which further added to the woes of all. As a result, businesses and influential families went to live out of the town and at suburbs. The population went down, and more people re-located when they lost their jobs as industries closed down. In the year 2000, the city had 55,593 people. Their Mayor’s name was Paul A. Dyster and their City Administrator’s name was Nicholas A. Melson. The city has a good few bridges which connect it to the other surrounding towns, and while it may not be the honeymoon capital as it was during the first half of the 1900’s, it still does hold a charm like no other. Plus, there are plans today to build everything from a wax museum to an indoor dinosaur-themed park by Disney. It would surely help bring back Niagara Falls City to its previous glory days. Tourists have a good many options to shop and dine before they head to the falls, and with the beauty on offer, they surely do not mind! Next Post: Tourism in Niagara Falls City: what should you expect?